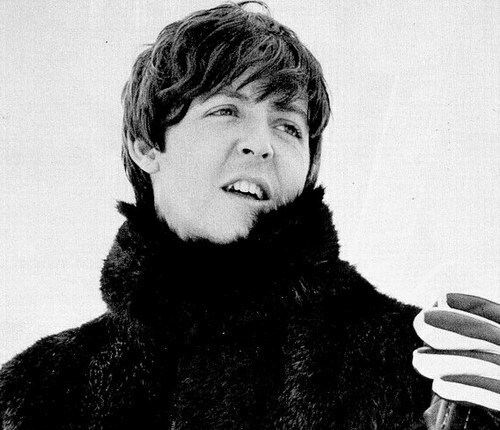 Today is Paul McCartney’s 70 birthday, happy birthday Paul! I still can’t believe we live in a world where there are only 2 remaining Beatles. Time marches on, doesn’t it? It seems like only yesterday he was turning 64, just like the song. Paul may not the “cool” choice, but he’s always been my favorite Beatle. He was my first concert, I saw him in Kansas City at Arrowhead Stadium back in 1993–I was in the fourth grade. Two years ago I took my babysister to see Paul live in concert and it was amazing. McCartney is amazing. He’s one of the greatest living songwriters and is an amazing bass player to boot. His song “Yesterday” is the most covered song of all time, which is pretty amazing if you think about it. At some point it became cool to rag on McCartney and deify Lennon, which is a shame. As far as I can tell, the only thing McCartney ever did wrong was write awesome songs and not die tragically. There’s nothing wrong with living a long, productive life–which is just what he’s doing. So dust off your copy of REVOLVER or The White Album and think of Paul. It’s not popular to say, but he was a better song-writer than Lennon. Lennon wrote some amazing lyrics, but McCartney was great in all areas. Above he, he was pop and not ashamed of it. It’s not popular to say it, but I think you’re right.